It's Wednesday, Feb. 20, 2019. Let's start here. 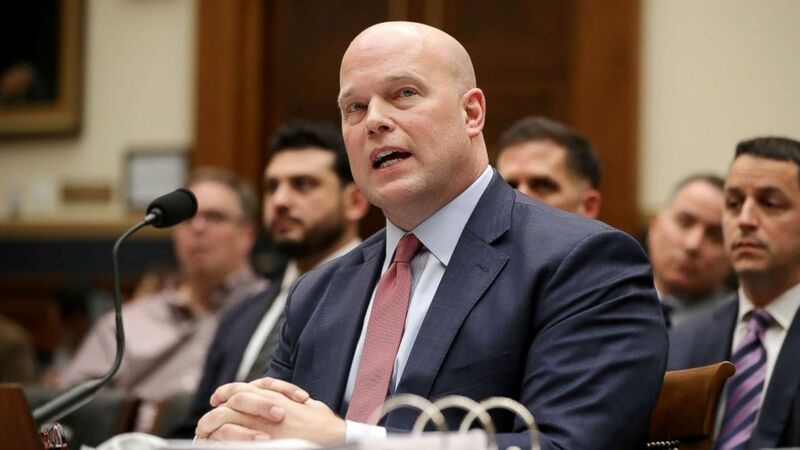 President Donald Trump has denied a report by The New York Times that he asked former acting Attorney General Matthew Whitaker to change the prosecutor in the case of Michael Cohen, Trump's former personal attorney and fixer. "There's a lot of fake news out there," Trump told reporters when asked if he tried to interfere in the Southern District of New York's investigation. "No, I didn't." The president reportedly wanted U.S. Attorney Geoffrey Berman in charge of investigating hush-money payments made to two women who alleged having affairs with Trump, even though the prosecutor had recused himself because of his ties to Trump lawyer Rudy Giuliani. ABC News Chief White House Correspondent Jonathan Karl breaks it down for us. Teachers in West Virginia went back on strike this week after state legislators proposed a bill seen by educators as retaliation for walking off the job nearly a year ago. Just hours after teachers went back to the picket lines on Tuesday, the House voted 53-45 to table the bill indefinitely, but protests are still planned for today. "Our members told us that they were not willing to go back because they don't trust the legislators," says Fred Albert, the West Virginia chapter president of the American Federation of Teachers. House Democrats are investigating whether advisers to the president ignored reported warnings from other officials about a plan to transfer sensitive nuclear technology to Saudi Arabia. House Oversight Committee Chairman Elijah Cummings, D-Md., released a report on Tuesday alleging the proposal began as a bid to sell nuclear reactors to the Saudis under the direction of Trump adviser and fundraiser Tom Barrack -- a plan initially pushed by former national security adviser Michael Flynn. "The Democrats believe that the Trump administration is actually still weighing this plan," ABC News Senior Investigative Producer Matthew Mosk tells us, "and we haven't heard from them whether or not that's true." Vermont Sen. Bernie Sanders announced on Tuesday he's making another run at the presidency. ABC News Deputy Political Director MaryAlice Parks tells us the 77-year-old has a significant advantage over the 2020 field when it comes to potential donors. 'I think it's pretty convenient not to be able to remember something like that, under oath': Episode 5 of "The Dropout" drops today. 'My office will never forget about cold cases': Police in California arrest a suspect connected to a killing in 1973. 'Space Policy Directive 4': The president says he is "thrilled" to sign a Space Force directive because his "administration has recognized space as a war-fighting domain." Would it be weird if Biden didn't run? : He has led or tied for the lead in almost every Democratic presidential primary poll he's appeared in so far. The catch? He isn't running -- at least not yet. Manny Machado's huge payday makes sense for the Padres: Machado will receive the biggest deal ever for a free agent, while a club that is traditionally not a big spender and hasn't reached the postseason since 2006 will add an in-his-prime, superstar-level player to play alongside one of the most enviable collections of young talent in the sport. Young American mom who married ISIS fighters begs to return to US: Hoda Muthana describes her decision to join ISIS in Syria, the process for selecting a husband, being a widow with a child and whether she expects punishment if she returns to the U.S.
How a man born without arms or legs became an inspiring high school football coach: Rob Mendez taught himself about football through video games. Feb. 20, 1998 -- Tara Lipinski becomes the youngest gold medalist at the Winter Olympics in Nagano. Five friends paddle boarding off the coast of Hawaii were surprised by multiple whales breaching. All right, you're off and running. Get the latest news on ABCNews.com and on the ABC News app. Details on how to subscribe to "Start Here" are below. See you tomorrow.